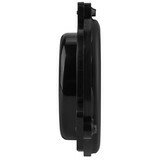 The PUCK" by Dayton Audio is a small tactile transducer or mini bass shaker that is intended to be used in Home Theater, Gaming, and Auto Sound applications. 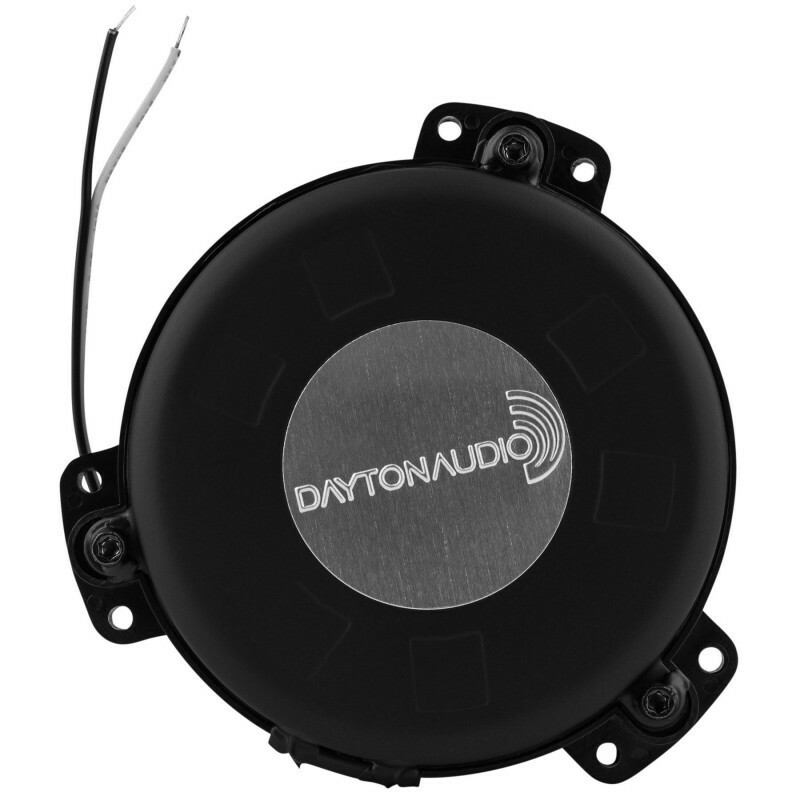 The PUCK™ by Dayton Audio is an inexpensive, small tactile transducer otherwise known as a mini bass shaker that is intended to be used in Home Theater, Gaming, and Auto Sound applications. 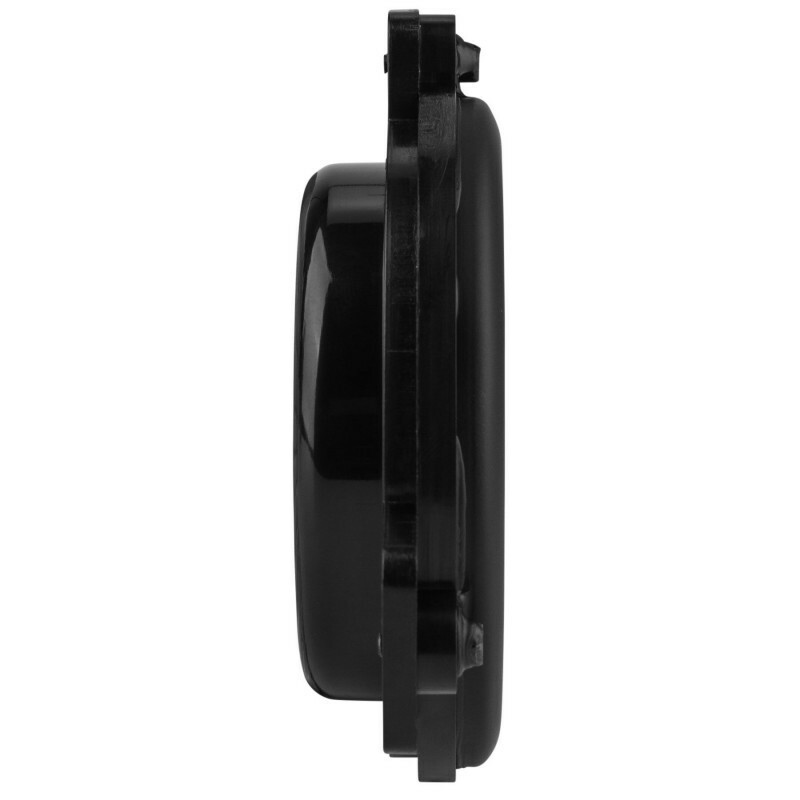 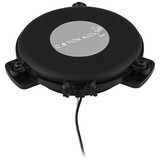 This mini bass shaker has the unique ability to transfer low frequency sound waves directly to the listener by mounting the PUCK™ to surface areas that a listener's body will come into contact with. Because the listener "feels" the low frequency, the volume of the overall sound can be kept to a minimum without sacrificing the audio quality. 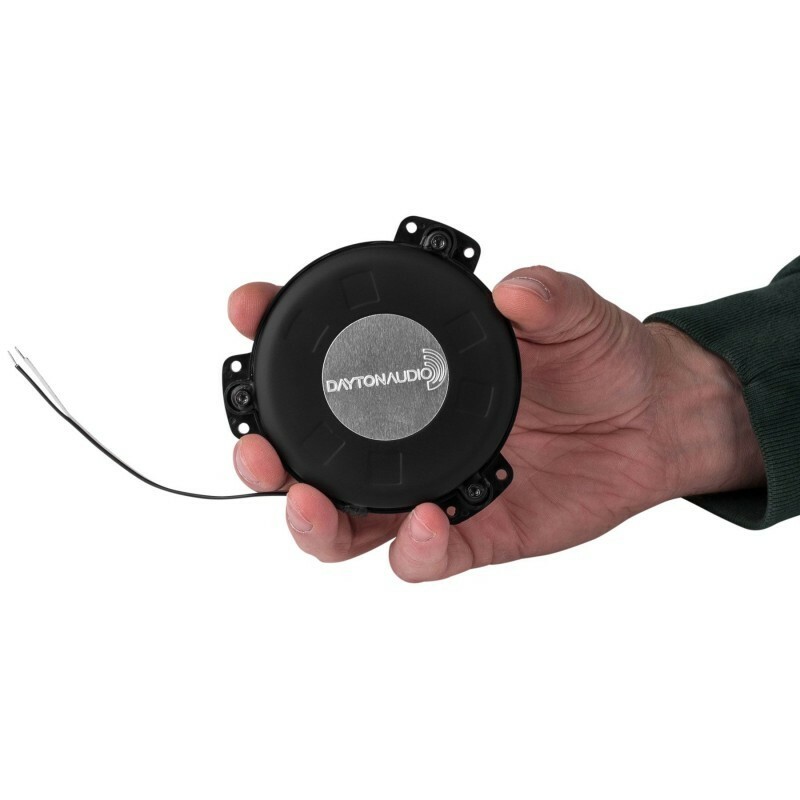 The PUCK™ measures a mere 3-1/2" diameter and 1" depth, nearly identical in size to an ice hockey puck. The small depth and diameter of the PUCK™ mini bass shaker make it uniquely suited for tight spaces and unobtrusive applications. 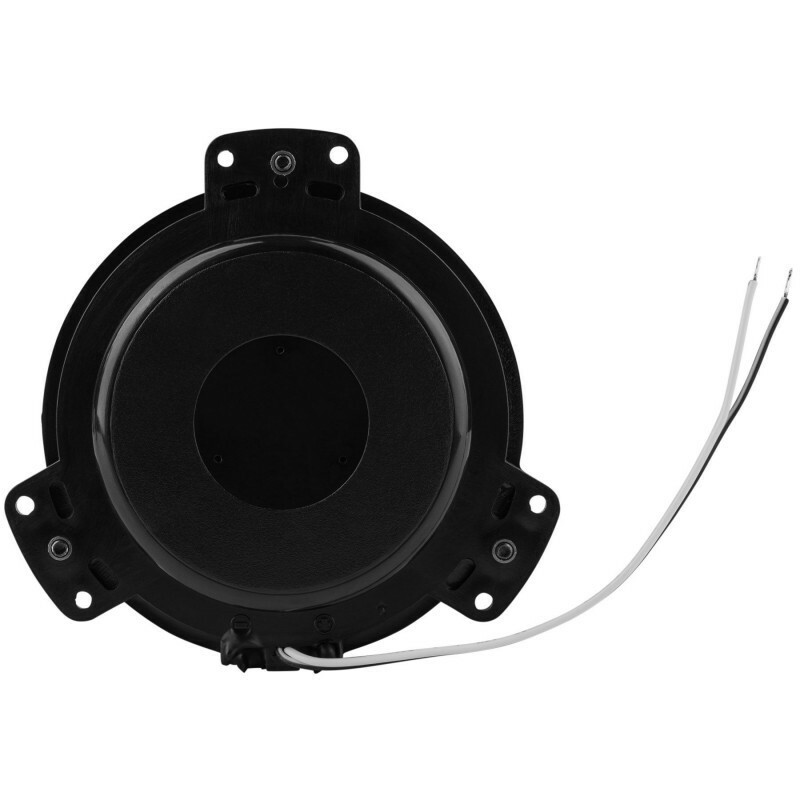 4 layer Voice Coil with 1" aluminum former. 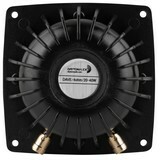 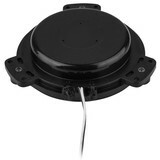 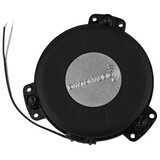 Four PUCK™ transducers can be wired for Stereo 8 Ohm Right/Left 2 channel wiring or as a 4 Ohm 1 channel system. 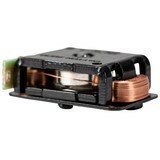 Note: Requires 6 #6 wood or sheet metal screws for surface mounting. 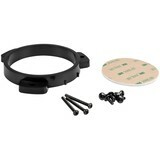 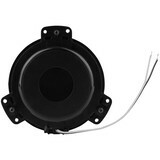 To simplify installation on flat surfaces our SMRK Surface Mounting Ring Kit allows you to mount the PUCK transducer without the need for a mounting hole. 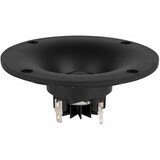 Specifications: • Power handling: 15 watts RMS/30 watts max • Impedance: 16 ohms • Re: 14.9 ohms • Le: 2.93 mH @ 1k Hz • Fs: 40 Hz • Usable frequency response: 20 to 80 Hz • Force peak: 30 lbs. per ft. total when used in 4 PUCK configuration • Dimensions: 3-1/2" dia. 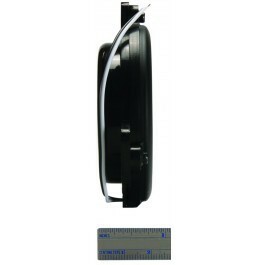 x 1" H • Cutout: 70 mm with 25 mm slot for wire pass through • Consult owners manual for cut-out template and wiring information. 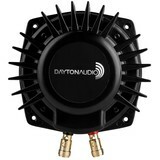 To learn more about Dayton Audio Exciters, and for help on which Exciter is right for you, check out Dayton Audio's Exciter & Tactile Transducers Buyers Guider.